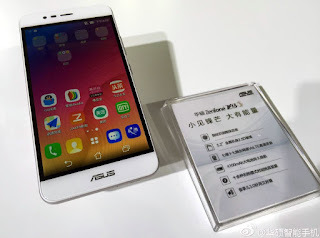 ASUS line of Pegasus smartphones has been the boon for users that are looking for a device that features capable hardware specifications and affordable price tags. However, the lineup has remained exclusively in the Asian region, mostly in the Chinese territory, and we haven't seen much of it around these parts. Today, the company has just unveiled the ZenFone Pegasus 3. The ASUS ZenFone Pegasus 3 boasts an all-metal construction instead of the glass-and-metal build that we've seen with the standard ZenFone 3 during COMPUTEX 2016. It's equipped with a still-unknown chipset that features an octa-core CPU clocked at 1.3GHz with either 2GB/3GB of RAM and 16GB/32GB of internal storage. It comes with a 5.2-inch HD display with 2.5D curved panel. It also features Android 6.0 Marshmallow, with the company's ZenfUI 3.0 on top of it. There's also a 13MP primary shooter, a fingerprint reader, and a whopping 4,100mAh of juice to power it up. At the moment, the ZenFone Pegasus 3 is expected to launch in China for around $200 or Php9,200 when converted to the local currency. It's still unknown at the moment if ASUS will ship it outside that country, but having the ZenFone moniker with it could be a good sign.